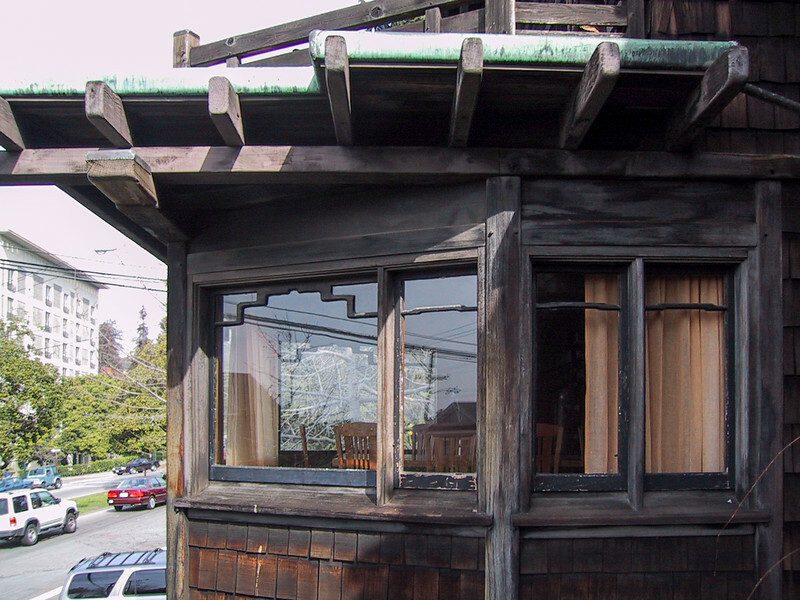 An Arts and Crafts masterpiece, Greene and Greene's Thorsen house of 1909, built for a timber magnate, and now a UC Berkeley fraternity house. One of their four "ultimate bungalows", this is the only one outside Southern California. Masterful details form a sublime whole.